The MacType font software update 1.2017.0614.0 is now available for download. The latest update comes with minor changes and improvements. The software update also fixed the issues which were causing blue screen error on Windows 10 anniversary update and Creators Update. The update also improved Chrome compatibility. Microsoft Windows and Apple MacOS both use different font rendering algorithm. However, Windows fonts look awful even after enabling ClearType fonts. This is where MacType software comes in action. 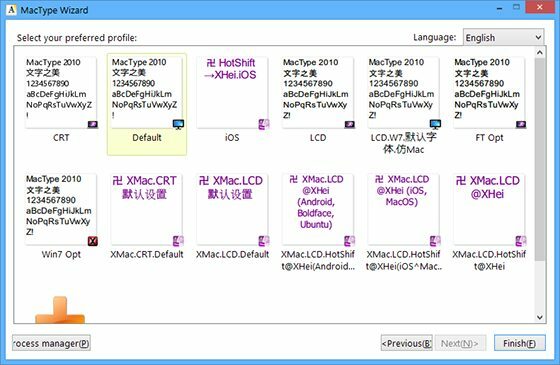 MacType font software for Windows is a simple program that overrides the font rendering software on Windows PC and makes the fonts look more like Mac systems. Software supports all version of Windows including Windows 10. Software now supports Windows 8/8.1 and Windows 10. Directwrite tweak re-enabled (Enable this tweak by adding DirectWrite=1 to the general section. No other parameter available). Upgraded FreeType to 2.6.5. Note that this version brings to you a different rendering result. HiDPI ready for MacTuner and MacTray. Folder support for MacType wizard in profile thumbnail view. Injecting to metro is possible in all loading modes. Vertical layout in firefox and some other programs has been fixed. Clipbox parameter is no longer required, it has been fixed for all programs. MacTray can identify more OS versions now. 1. Download the latest version of the installer and run the downloaded installer file. 3. When prompted, choose “Complete” install. 4. Select run it as from the registry as it is the best choice. 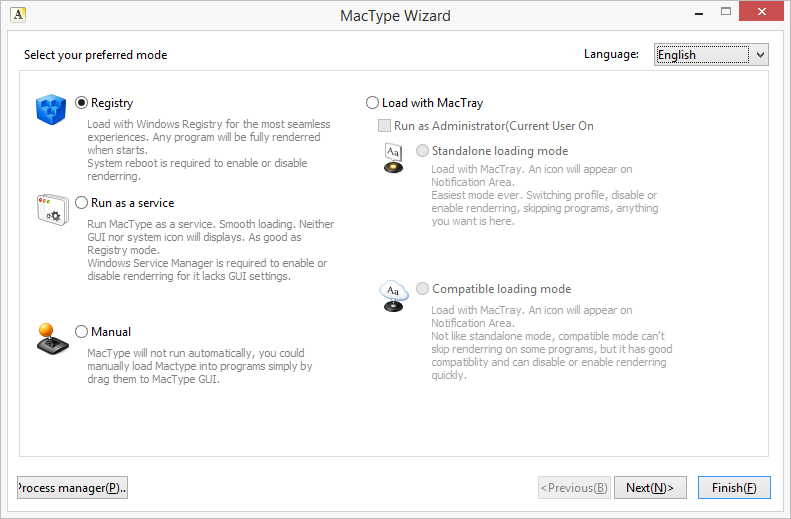 MacType v1.2016.0904.0 font wizard after installation. 5. You will then be presented with some presets of different rendering settings. Pick the one that looks best for you and that completes the setup. Select font profile to display on your Windows. Search Disable DirectWrite (#disable-direct-write), click on Enable. Adjust Number of raster threads (#num-raster-threads) to 1.
tlYfnf There is perceptibly a bundle to know about this. I feel you made various nice points in features also.